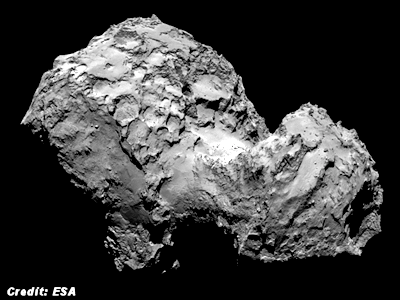 The European Space Agency (ESA) has released a tape of mysterious radio signals coming from the “Rosetta comet” . . .. It continues, “The music was heard clearly by the magnetometer experiment (RPC-Mag) for the first time in August, when Rosetta drew to within 100 km of 67P/C-G. The scientists think it must be produced in some way by the activity of the comet, as it releases neutral particles into space where they become electrically charged due to a process called ionization. . . .
"NASA Veteran Clark C. McClelland Confirms Alien Existence as Outlined by Astronaut Edgar Mitchell!"